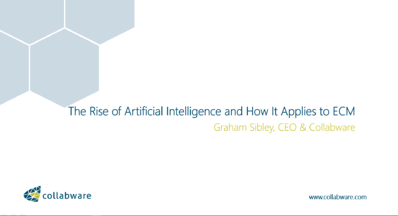 Forget killer bots plotting our demise, Collabware CEO Graham Sibley explained that the way AI runs is incredibly simple and when utilized effectively, can help organizations save money and allow employees to work more productively. How so? Check out the video to watch his talk, or scroll to the bottom for a free downloadable document of the presentation. However, if you don't currently have 45 minutes to spare learning about AI and algorithms, worry not. We've outlined some of the basics here for you to skim at your own leisure, and have also included some bonus info about algorithm types! So you might be thinking: AI at the office? Why is that necessary? "Every two days now we create as much information as we did from the dawn of civilization up until 2003"
Given this perspective, it becomes apparent that the current volume of information out there is literally in-comprehensible to human beings. 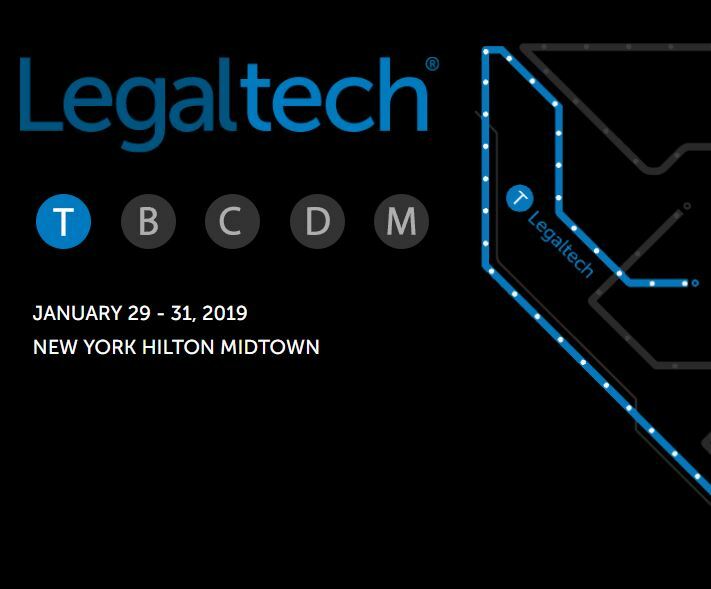 Try to imagine for a moment, sorting through a years' worth of work-related files and documents on the devices of employees throughout your organization. Overwhelming is an understatement. 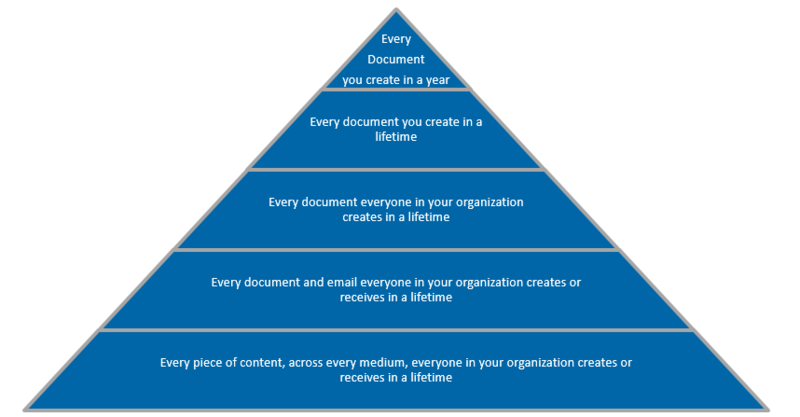 This pyramid is a visual representation of how extensive 'big content' can get throughout an organization. The solution? As Graham said, "[w]e need to get to the point where machines can express the intelligence our brain can express so that it can do that [overwhelming] work for us." What is Artificial Intelligence and How Does it Work, Really? Understanding that machines may be of aid to help manage masses of organizational data and content, it's essential to define what artificial intelligence is and how it works. Daunting as it may seem, Graham stated that AI is simply about teaching machines to learn so they can make decisions. To express the intelligence our brain normally would. Sounds too easy to be true? It really is that straightforward. While AI appears to be extremely intelligent at times, the truth is that each and every basic fundamental building block is based on whether yes or no is determined. 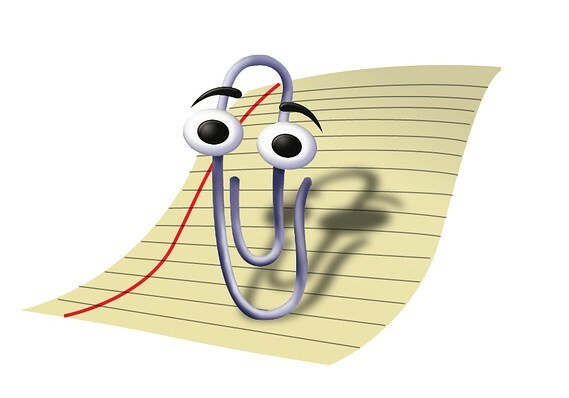 In this way, the reality is less like planet destroying robots and more like our old friend Clippy (pictured to your right, remember him?) who is programmed in a way that can help us out at work. For interaction: An exchange with AI for tips, locations, info bits. Think Alexa or Siri. For content: These can be used to classify data such as text or documents, for entity extraction to pull out useful information using algorithms in order to refine, or as image extractors that can compare images of, for example, mining machinery to track equipment maintenance levels. Graham also spoke on algorithms (see list below), providing definitions of decision trees and clustering/similarity. As a bonus here, we’ve done you a solid and listed out basic descriptions for all of the types listed during the tech talk! As mentioned in the three-step decision-making process of AIs, algorithms include the analysis against criteria. However, an even more simplistic definition is that these are a step-by-step procedure, or set of instructions, for calculations. Regression: this algorithm predicts output values based on input features fed into the system. In this way, it's useful to predict numbers, for example, using property location and size to predict real estate value. Instance-based: these generate predictions using specific instances or examples of training data. They are also known as 'memory-based learning' algorithms. Regularization: this type of method often works in a way that favors simpler, generalizing models. Decision trees: this method was touched on by Graham in the video and is constructed into a tree based on decisions which fork into tree-like structures. Bayesian algorithms: these apply Bayes' theorem, which uses previous data evidence to update the probabilities of hypothesis, and are often used as spam filters for email. Clustering and similarity: both algorithms organize data into groups of commonality using the data's inherent structures. Graham provided the example of similarity algorithms being useful to find document similarities and keywords, while clustering would be able to extract and group these common terms. Neural networks: these interesting models are pattern matching and often times used for regression or classification problems. They are inspired by the functions of biological neural networks! Last but not least, Deep Learning algorithms are essentially a modern update of the original neural networks. These include bigger and more complex neural networks and are great when deployed onto large data sets that contain very little labeling. What can AI do for Records Managers? Automatic identification of key data: The ability to extract people, places, and things from information. For example, with location extraction AIs are able to show 'documents near me'. Identification of value: Discovering information based on implicit relationships is a feature still in the works, however it will allow individuals to understand how pieces of content are meaningful and to find the value in documents for improved business functioning. Incorporating artificial intelligence into documentation operations can result in major ROI. 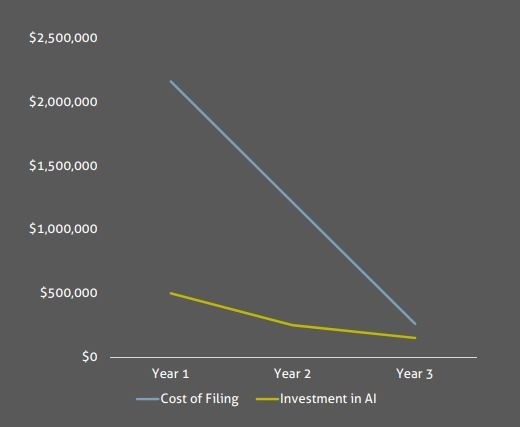 For example, AI-based automated filing can save 3.5 minutes per document once deployed, which is a 900K investment for a 2,850,000 dollar ROI over 3 years. Graham also provided the example of a multinational grocery retailer unlocking new value from existing content through pattern analysis. In this case, the retailer used AI in order to learn that they spent a lot on cooling. With this information, they saved twenty million dollars that year via cooling reduction. How do I take advantage of AI? Can it be indexed and computed from the location? If not, can you copy/move it to somewhere else that can be computed? Do you need to find specific content? Do you need to organize the content? Do you need to protect the content? By understanding that the workings of AI are actually quite simple, it becomes apparent that artificial intelligence can be utilized in a way that makes your organization’s documentation and information management a little less daunting! For more information on Artificial Intelligence and how Collabware applies these principles to our records management products, please get in touch. To learn more about algorithm types, check out this Tour of Machine Learning Algorithms by Machine Learning Mastery.